Product information "Triple Stripe Shantung Bespoke Tie - Burgundy"
Made from rawer, less processed yarns, this rougher, characteristically slubby cloth offers an unmistakable character and look. Traditionally used for summer ties, technically nothing speaks against wearing it year-round. Its slightly irregular appearance makes it always a bit more casual than a fine grenadine, printed silk with small patterns, or a simple twill. Ideal for combinations with classic summer clothes like hopsack, solaro or linen. 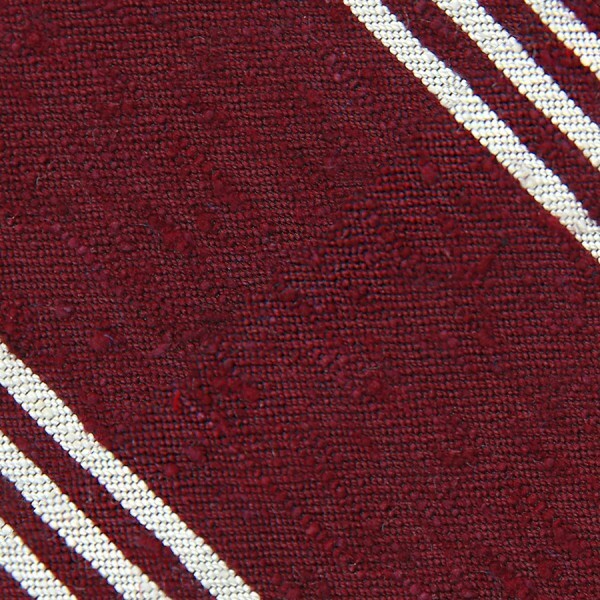 Related links to "Triple Stripe Shantung Bespoke Tie - Burgundy"